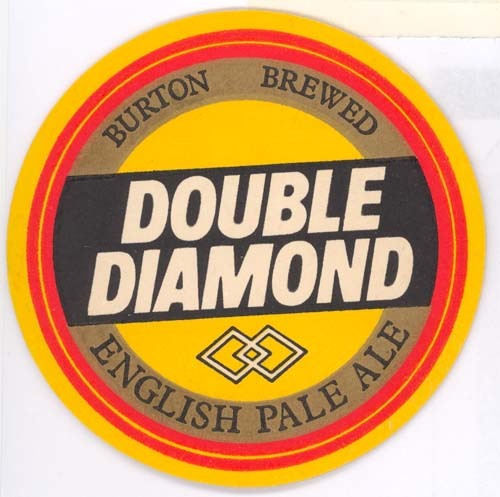 Recommend your favourite beers and breweries to fellow Tull fans here. In London there are Fullers with their London Pride beer and Youngs with their Winter Warmer amongst others. Both excellent ales. Shepherd Neame brew some fine ales from their HQ in Faversham, Kent and down here in Cornwall we have Sharps who produce a wonderful brew called Doom Bar, which I can vouch for. As Tull concerts and good beer can go together like a duck takes to water, your recommendations will be valuable to travelling Tull fans. Nothing to bragg on here as I usually just drink Budweiser. But while honeymooning in Paris 12 years ago I discovered a beer called Kronenborg (spelling may be off) I did love that beer...even had a case ordered by the local distributor; but the cost was about double of Budweiser so I didnt buy any more. This is my kind of subject, I just love real ale, here's 3 of my favourites. anyone know what it tastes like? 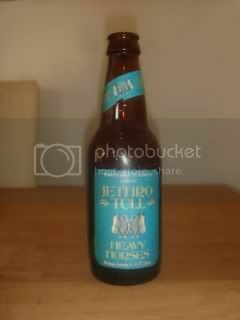 Here's the strongest beer ever!! It's called "Sink The Bismark", at 41% I don't think you need more than a half pint. It's made by Brewdog, any relation to you Maddog??? 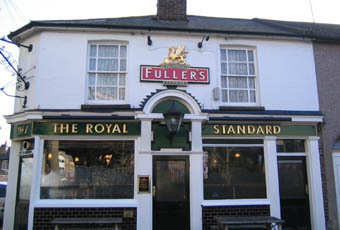 The Royal Standard in Croydon, one of my "locals" when I lived in south London. They served, and probably still do, Fuller's Extra Strong Bitter and London Pride. It's the only beer that I can honestly say I've seen someone "legless". From the waist up they were sane, coherent, not your usual friendly drunk, etc., but when he went to stand up his legs gave away completely. One of the beers that us "soft southern b******s", as my late lamented friend Dave Hall would call us, is Newcastle Brown. Forty years ago it was sold "under the counter" at an off licence near where we lived at the time as it was not on sale to the general public down south, only up north. Nowadays it's everywhere. Still a good beer although I suspect it has been watered down over the preceeding years, or is that just the meandering thoughts of a "SSB"
Haven't tasted that brew myself. Brewed at the Castle Anthrax? WHEN DID YOU TASTE YOUR FIRST GOOD PINT OF BEER? When I was 14 years old me and 2 of my class mates made friends with a girl because we found out she lived in a pub. We used to go and visit her on a Sunday night. We would sit in her front room, give her 1 shilling & 4d each for a loverly pint of BYB! 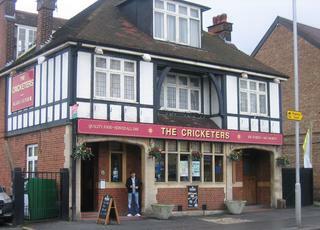 Seems a long time ago since I had my first pint. Can't remember what it was but it was probably either Watney's or Double Diamond. Another fine Cornish brewery is the St Austell Brewery. They produce a fine cask ale named Tribute. Can endorse your review of this beer. I'm still lurching from side to side. Surely not a reference to Chris Evans by any chance? As this beer's from your neck of the woods, have you had a pint? Would love to have some cases of this.